Not Seeing The Changes You Want? Change Happens One Day At A Time. Today Can Be Day 1! Our Expert Coaches Will Push You Past Your Comfort Zone Without Sacrificing Safety Or Form. 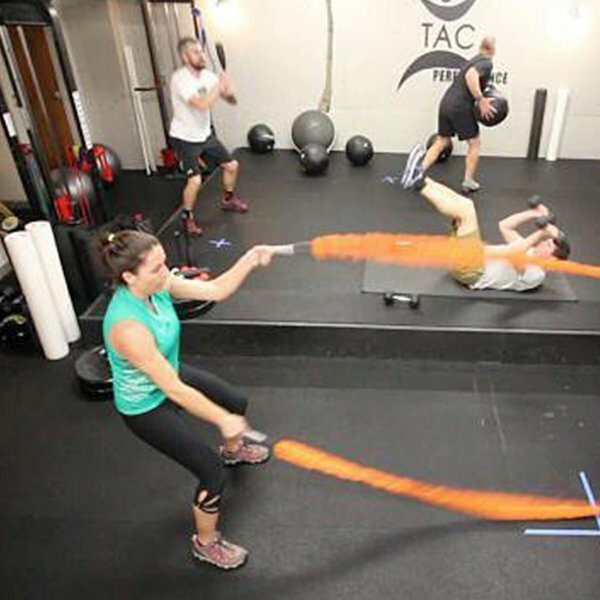 We have hand-selected trainers who are masters in their field to coach the foundations of functional strength training – centered around “multi-plane ballistic movements” and providing fast-paced, form-first workouts! We’ve combined the best of some of your favorite classes – HITT, Functional Training, Pilates, and more – to give you the best workout imaginable. Each training session is designed to push you toward achieving optimal performance and will begin with a strong emphasis on mobility to ensure your body is ready for the demands of the workout. This requires moving without compensations. Our workouts will provide the stimulus necessary to engage the right muscle systems at the right time with proper body mechanics. This is what we mean by training “functionally;” it ensures that your body is ready to react to any adaptation set forth before you in your sport or simply your daily life. The meat of your workout will be functional strength circuits introducing Dumbbell and Kettlebell Swings, Ballistic Med Ball Throws, Contralateral Strength Training to promote greater Stability & High Intensity Heart rate Training administered through Speed and Power exercises focusing on Lateral Agility and Explosive Plyometrics. Change happens one day at a time.